Heat oven to 350°F. In large bowl, combine all ingredients except 3 tablespoons chili sauce; mix well. Press mixture firmly in ungreased 8x4-inch loaf pan. Bake at 350°F. for 30 minutes. Top with 3 tablespoons chili sauce. 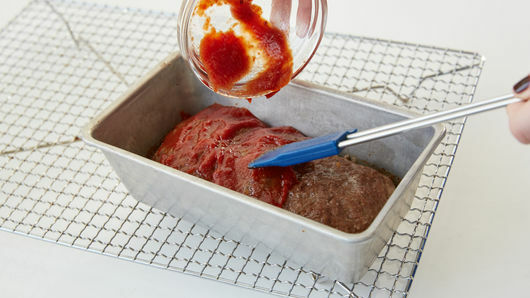 Bake an additional 10 to 15 minutes or until thoroughly cooked in center and meat thermometer registers 160°F. Let stand 5 minutes. Remove from pan. It’s good to have a baseline meatloaf recipe, one that can be varied in a lot of ways. Using other types or combinations of ground meat or poultry, bumping up the herbs or adding some spiciness, or using different kinds of binders—fresh bread crumbs, cooked rice, oatmeal—can be fun to experiment with. Make some planned-overs: mix up two loaves, so you have leftovers for sandwiches or to serve on another night with garlicky mashed potatoes and a fresh salad. Go all out nostalgic and make wedge salads with blue cheese dressing, bacon, and chopped tomatoes. 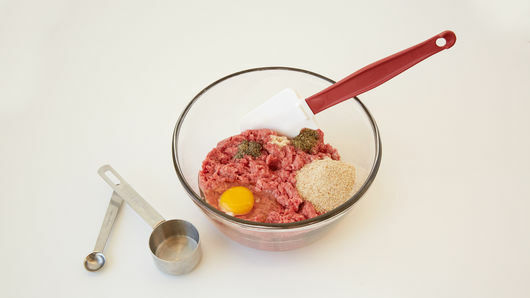 Press the meat mixture into large muffin cups (grease them well) for individual meatloaves or roll it into meatballs (use lightly wet hands) and brown them up in a skillet, in the oven, or cook small ones directly in a flavorful tomato sauce (use a mixture of ground beef and bulk Italian sausage) to serve over hot cooked pasta. Let’s face it—meatloaf is one of those meals that’ll never go out of style. Your mom made it, your grandma made it and your great-grandmother probably made it, too—it was a staple during the Great Depression, after all, due to its inexpensive and super-filling ingredients. The tradition lives on today, where meatloaf still reigns as a family-favorite comfort meal. 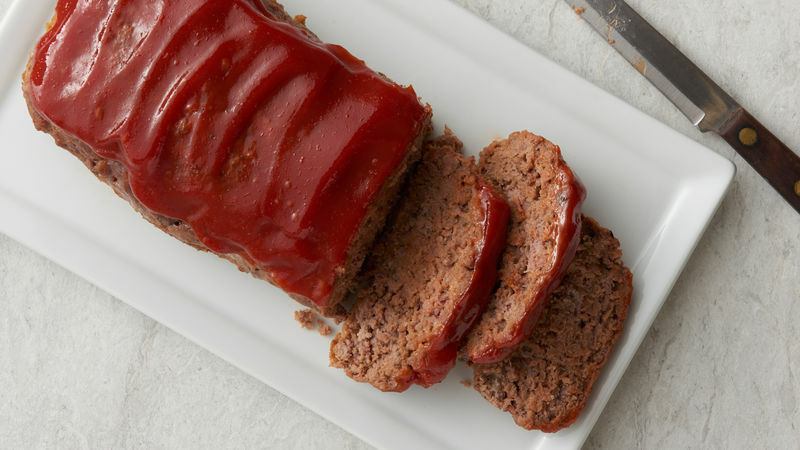 Typically, meatloaf is served in the United States with some ketchup and a side of mashed potatoes, making it a meal that can please even the pickiest kids. It’s also the perfect recipe to sneak in some veggies for those picky eaters: minced carrot or cauliflower are great options, but really any of your favorite veggies will work! Zucchini Meatloaf, anyone? Meatloaf is a classic dish every home cook should have in their back pocket, but it can be intimidating if you’ve never made it before. From panades to glazes to storing your leftovers, we’ve broken down all the basics for you in this step-by-step guide. Once you’ve mastered it, take it up a notch with any of these delicious twists, from turkey meatloaf to pizza-flavored!